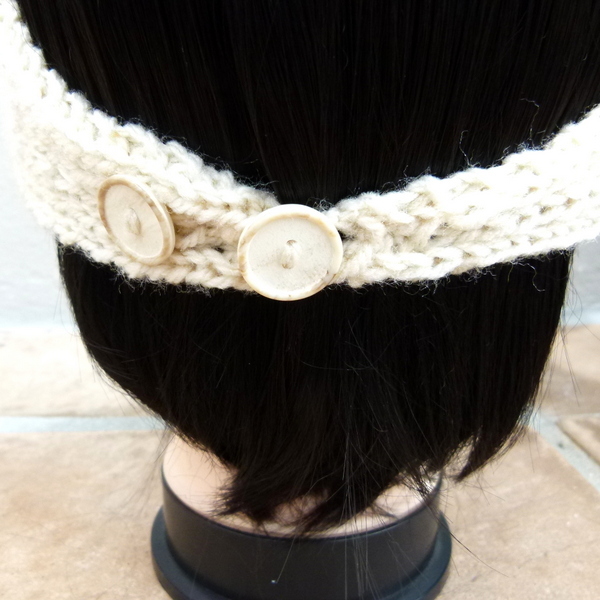 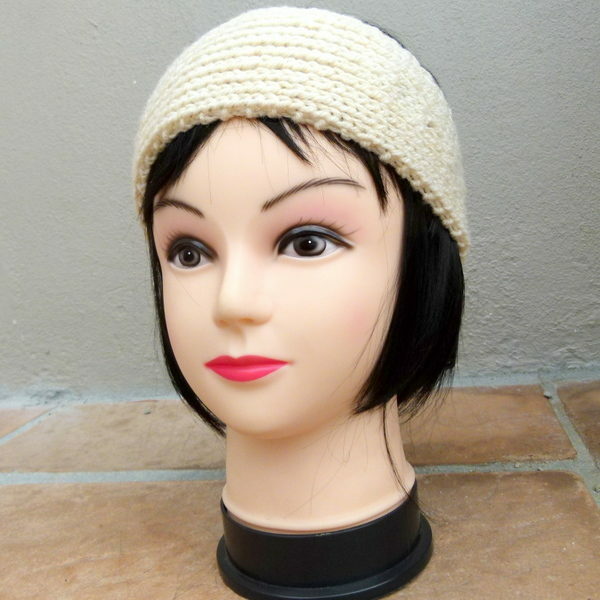 Ladies Cream Knitted Headband with 2 Button Detail. 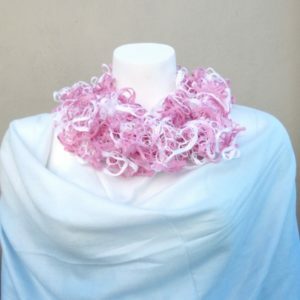 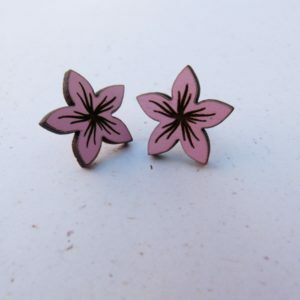 Handmade by Lilla at Lilla-Rose Gifts ‘n More. 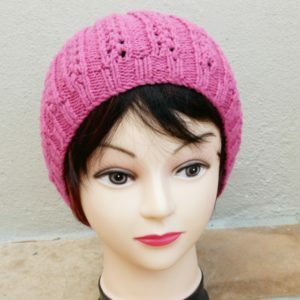 Can be custom made in a different colour or size. 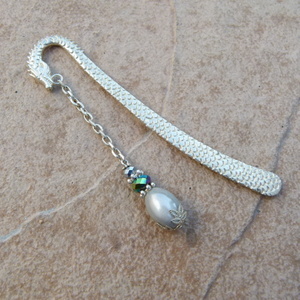 Email lezelle@lillarsoegifts.com to inquire.